If you live in a place that’s plagued by potholes, such as the UK, then you’ll surely appreciate Ford’s attempt to minimize the damage these holes in the road can cause. This year’s “Beast from the East’ arctic air-mass was responsible for the icy conditions that led to road surfaces becoming even more damaged. In fact, according to Asphaltuk, a pothole needed to be repaired every 21 seconds in England and Wales this past year. 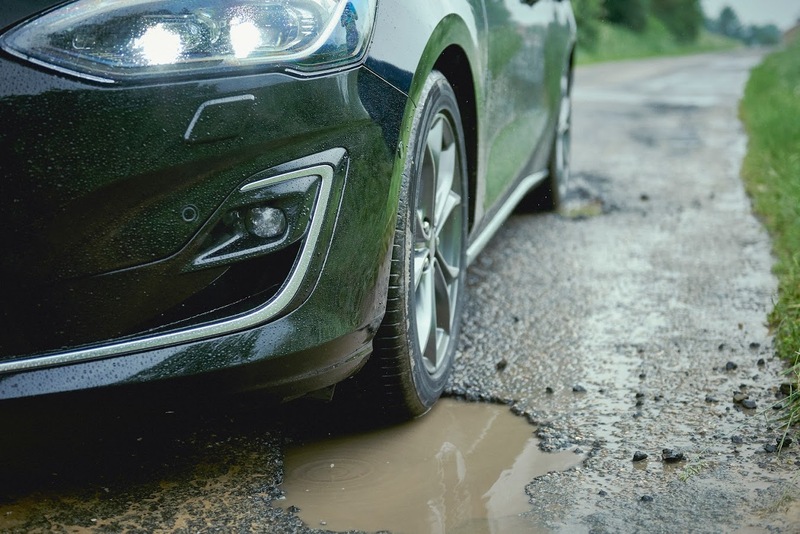 As you well know, potholes (especially severe ones), can damage not just your car’s rims, but also your tires and even your suspension system, which many times means money out of your pocket. This is where Ford’s pothole detection technology comes in, sensing when a wheel is about to fall into a pothole and adjusting the suspension to limit just how far it will drop. What happens next is that because the wheel doesn’t fall as far anymore, it also doesn’t strike the opposite side of the pothole as harshly on exit. Meanwhile, the rear suspension can now respond even faster than the front, thanks to the split-second warning it receives via the front sensors. The pothole detection tech of the all-new Focus, which is scheduled to arrive in UK dealerships this summer, is part of the car’s Continuously Controlled Damping system, which adjusts the suspension responses in real time as braking, steering, body and suspension inputs are constantly monitored (every two milliseconds).